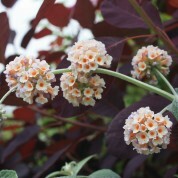 Another Buddleja with clusters of flowers, these are creamy yellow with a dark orange eye and sweetly scented. 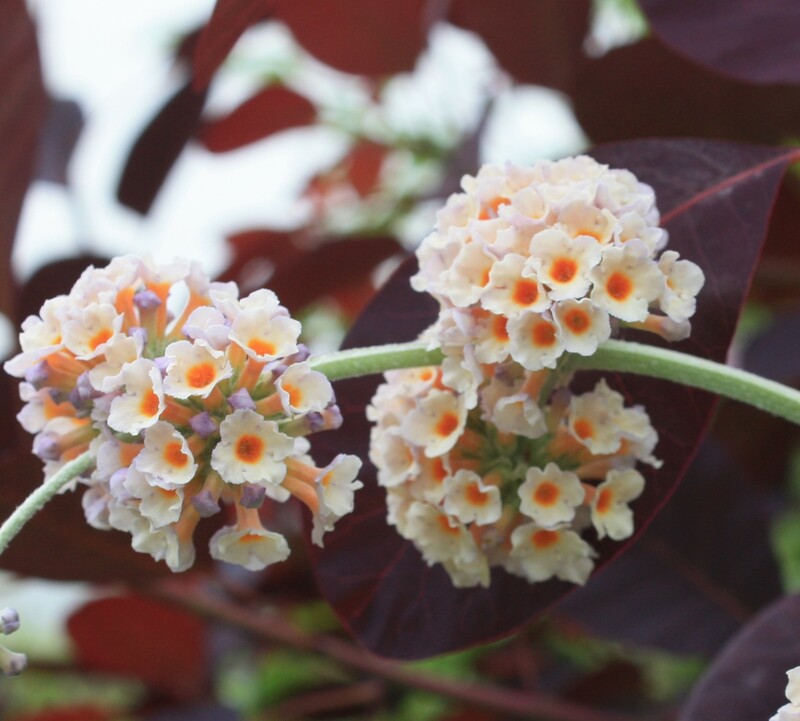 B. x weyeriana ‘Moonlight’ is the result of a cross between B. davidii var. 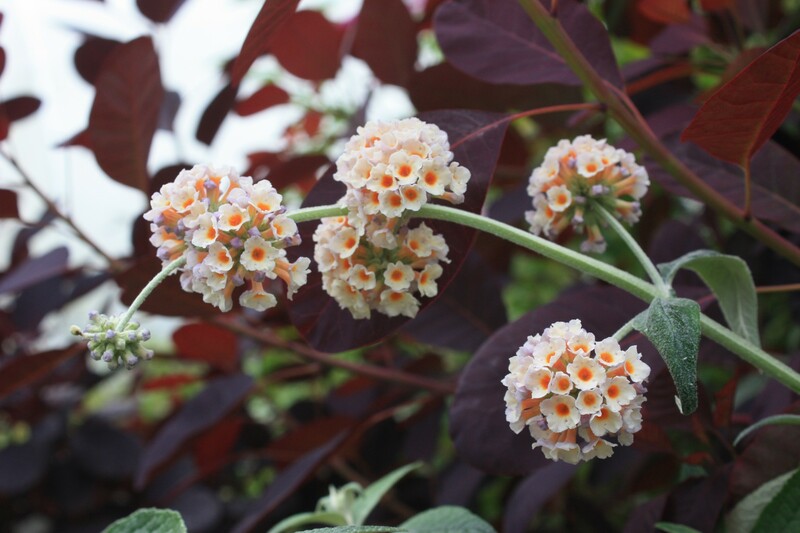 magnifica x B. globosa made by Major William John Bates van de Weyer at Smedmore House, Dorset whilst he was on leave during World War I. 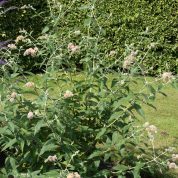 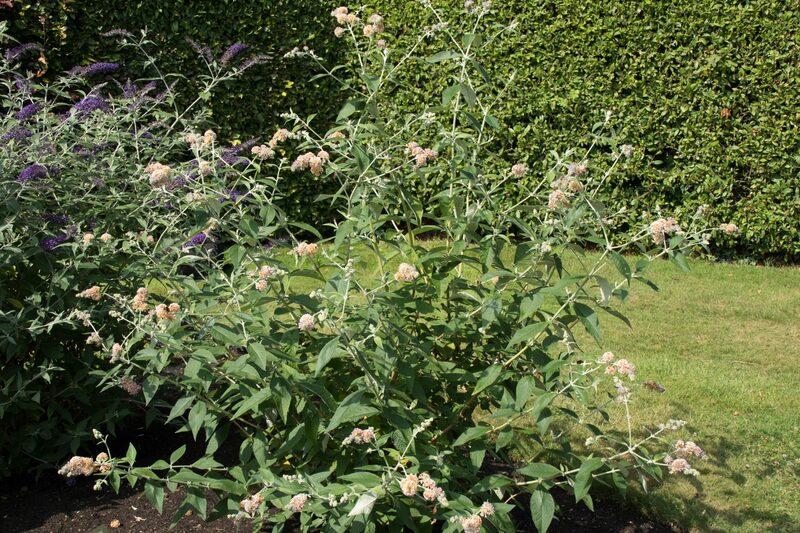 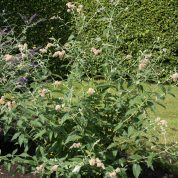 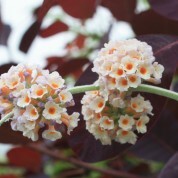 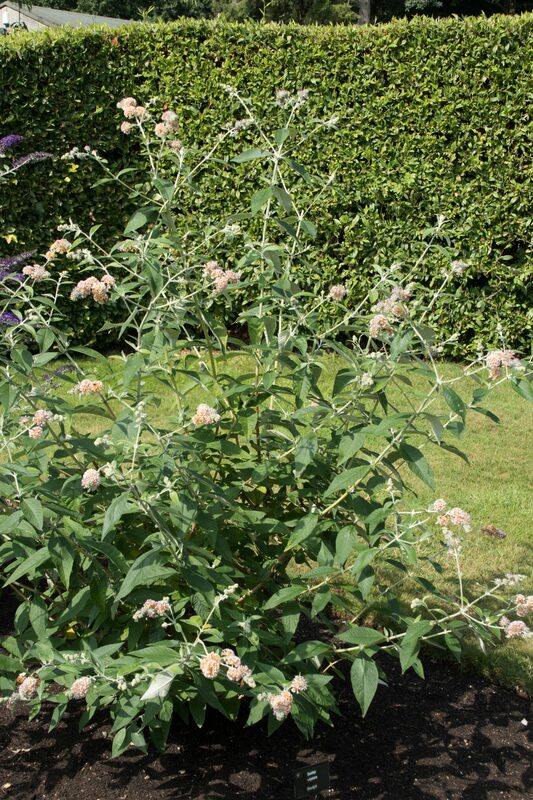 The major became the first person to successfully hybridise a South American and an Asiatic species of Buddleja.